With Philippe Coutinho already ruled out of tomorrow's game with Man City, Liverpool are also set to be without another of the club's important players. "Liverpool are set to be without the services of Joel Matip again as he continues to recover from an ankle issue". Matip missed training again last night, which makes it almost two weeks on the sidelines without kicking a ball, or participating in fitness training. Clearly, even when Matip's ankle issue is resolved, he'll need further time to get back up to full match fitness, which means the Reds may be without the Cameroon international for a few weeks yet. This is bad news for Matip, but good news for Ragnar Klavan, who has put in several imperious performances in recent weeks, and is building a strong case for regular inclusion in the team. 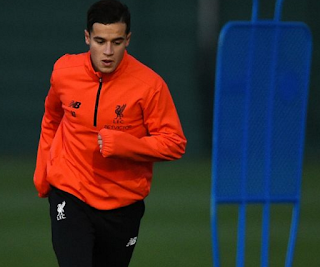 On the plus side, Coutinho is back in training, and importantly, is running on his ankle, which suggests that he is well on the way to a first-team return.